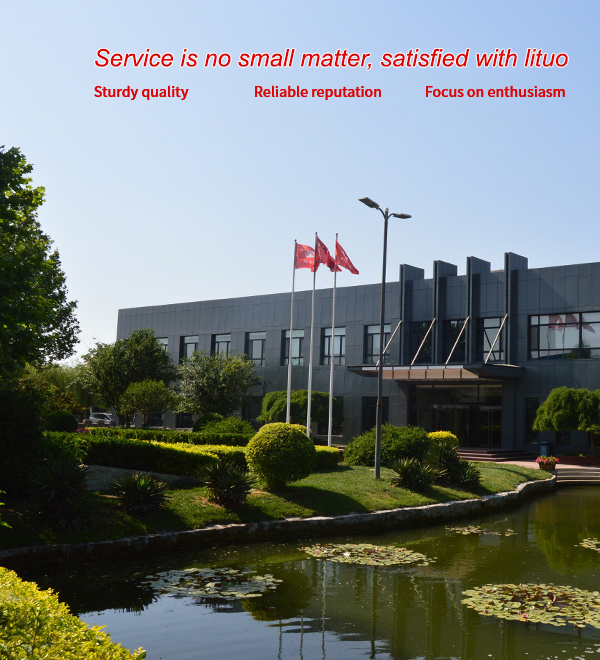 Tianjin lituo steel products co., ltd.
Tianjin Lituo Steel Products Co., Ltd. was founded in 2004 and is located in Wangcun Industrial Zone, Dasi Town, Xiqing District, Tianjin. The company has more than 1,800 employees and a registered capital of 370 million yuan. There are 16 high-frequency straight seam welded pipe units, 12 hot-dip galvanizing units and 9 steel-plastic composite pipe units. It has an annual output of 820,000 tons of high-frequency straight seam welded pipes, 750,000 tons of hot-dip galvanized steel pipes and 70,000 steel-plastic composite pipes. Tons of production capacity. The company has Tianjin Xingyuda Steel Pipe Co., Ltd., Tianjin Bentuo Steel Co., Ltd., Tianjin Jinghai District Zhenxing Galvanized Pipe Co., Ltd. The company has a complete production process, advanced production and testing equipment, and a quality management system established in accordance with the requirements of ISO 9001:2015. The company is the China Steel Structure Association Steel Pipe Branch, China Building Metal Structure Association Water Supply and Drainage Equipment Branch and Tianjin Building Materials. Industry Association, China Quality Inspection Association, Tianjin Iron and Steel Association governing unit, China Fire Protection Association, China City Gas Association member units. The “Lituo” brand products produced by the company were awarded “Tianjin Famous Brand Products” by Tianjin Municipal People's Government in 2006. In the same year, the “Lituo” brand was recognized as a “famous trademark” by Tianjin Industrial and Commercial Bureau. In 2009, the “Lituo” trademark was recognized as “China Famous Brand” by the State Administration for Industry and Commerce. In 2012, all products of the company passed the “Kangju Product Certification” of the Ministry of Housing and Urban-Rural Development. In 2016, Rio Tinto obtained the environmental management system and occupational health management system certification. In 2017, the company's product hot town zinc steel pipe passed the China Environmental Labeling (II) type product certification. The company has Tianjin Xingyuda Steel Pipe Co., Ltd. In 2009, the “Lituo” trademark was recognized as “China Famous Brand” by the State Administration for Industry and Commerce. Tianjin Jinta is a building complex consisting of a 33-meter-meter, sail-shaped office building “Jinta” and a super five-star St. Regis hotel “Jinmen”, which means the opening of the city.